Mp3tag is a powerful and yet easy-to-use tool to edit Tags of MP3, Ogg Vorbis, Musepack, iTunes MP4, FLAC and WavPack files. It can rename files based on the tag information, replace characters or words from tags and filenames, import/export tag information, create playlists and more. The program supports online database lookups from freedb, Amazon, or discogs, allowing you to automatically gather proper tag information for your files. 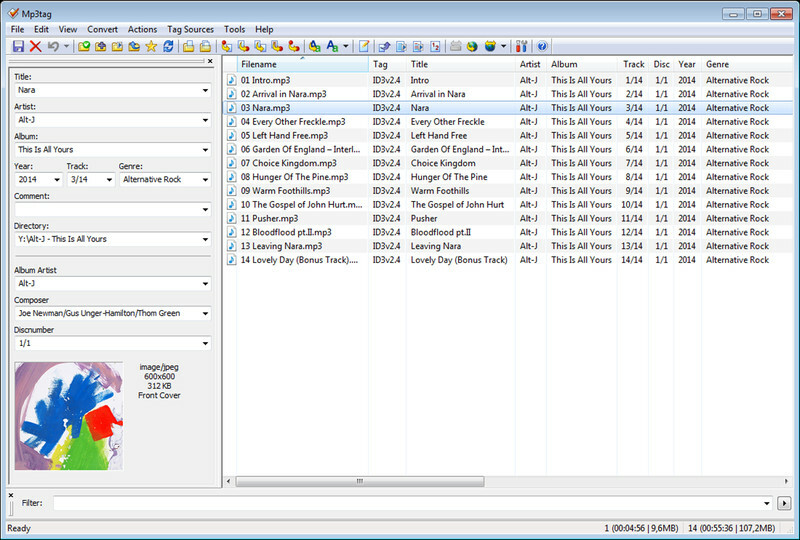 Media files tag editor with MP3, FLAC, M4A, APE, AVI, WAV, WMA, MPC support.